I was visiting Grimey’s in December, and while browsing, I was entranced by the record that was playing in the store. I stopped what I was doing to listen for a moment, and decided that I needed more of this band in my life. The band is Tennis, and I have been an avid listener since that day. So naturally, when I heard they would be performing at The Basement recently, I made sure I had a ticket. 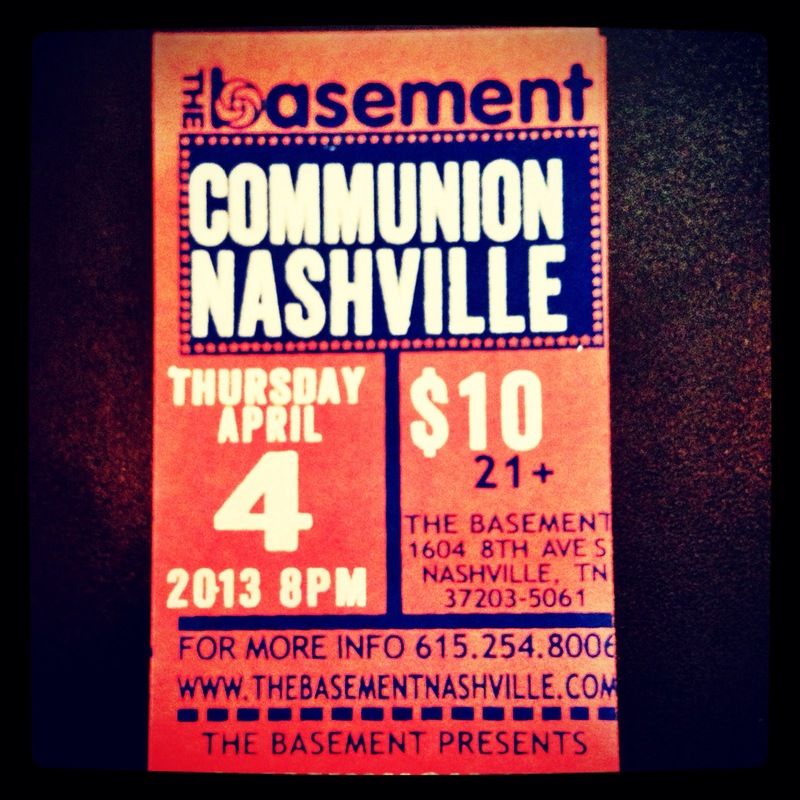 What I didn’t realize in all my excitement, however, was that I was attending Communion Nashville, a regular event hosted at The Basement on the first Thursday of each month. Every month promises a fresh lineup of emerging, developing, and established artists, to foster an environment of collaboration and community support. The night began with Gill Landry of Old Crow Medicine Show singing several lonesome troubadour tunes, accompanied by Odessa Jorgensen on fiddle. 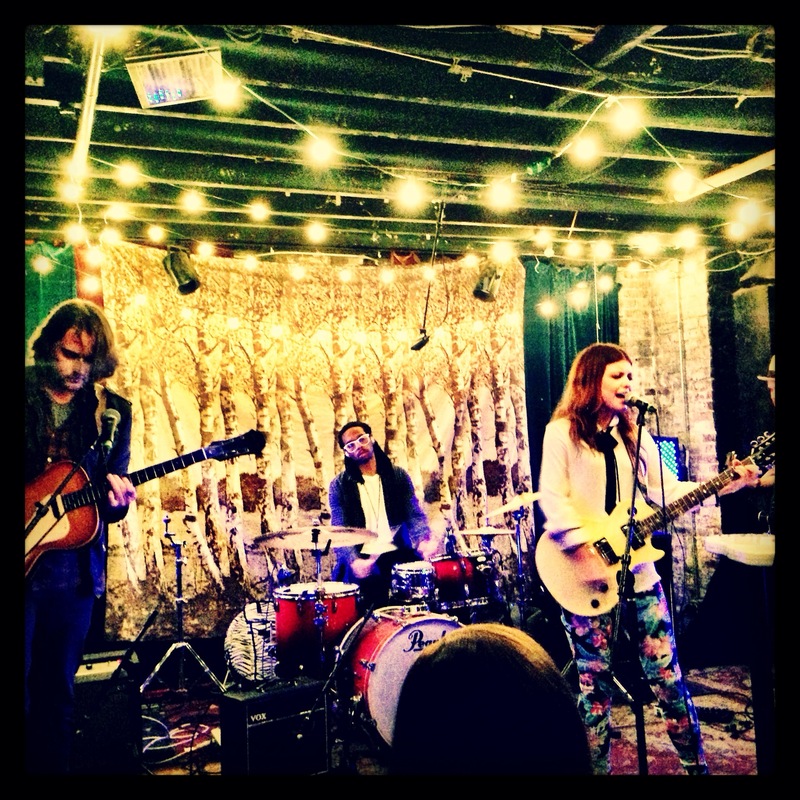 The real surprise for me, however, was singer/songwriter Erin McCarley, a Texan-turned-Tennessean with a raspy voice and a fantastic stage presence, playing selections from her second album, 2012’s My Stadium Electric. I became a fan as soon as she played ”There’s No Holding You Down,” an inspiring anthem promising that “we can write the story/you don’t have to worry.” Two other standouts, “Elevator” and “Coconut Romance” had the entire joint rocking. This Erin McCarley, who can jam on an Omniharp, who can make the most of tropical-themed leggings, is a five foot tall beauty of solid talent. I downloaded the album before I even left The Basement that night. Up next, Tennis…comprised of husband/wife duo Alaina Moore and Patrick Riley from Denver, Colorado. Moore announced that the pair had just relocated to Nashville, and had to admit that most of what she knew about our fair city she had learned by watching the television show “Nashville,” bless her heart. Tennis entertained us with selections from their 2012 album Young & Old, which is a lo-fi offering of songs that sound like they harken from a different era. Their sound reminds me of Beach House-meets-The Drums-meets-surf pop. Whatever it is, it speaks to me. 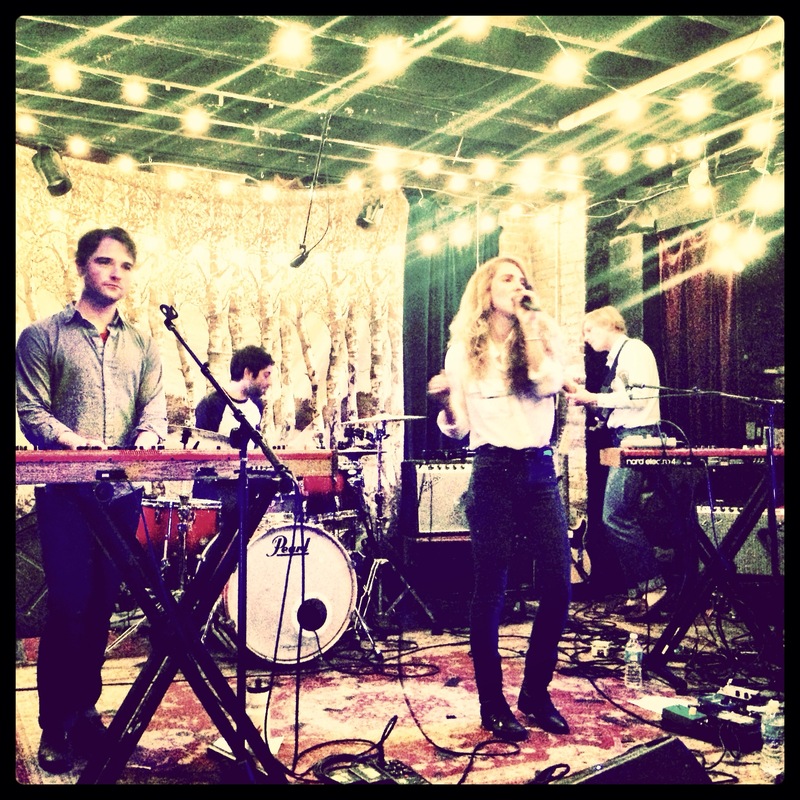 Moore has the most angelic voice; even the scales she sang during soundcheck had me captivated. The duo played my favorites from the album, including the incredibly addictive “Petition” and the groovy “My Better Self.” The band’s song, “Marathon,” a bouncy tune from 2011’s Cape Dory, was also on the set list; Moore recalled that when they wrote “Marathon,” it reminded her of a middle school dance song, but it’s one of their most requested. Tennis played not nearly long enough, but now that they live in Nashville, I’m sure we’ll be seeing them around here again very soon. I will definitely be a regular at Communion Nashville; it will be hard to top being able to experience such a variety of fantastic new music, all in one place, on one night. May 10, 2013 in Music.